1.) Please share images of bathrooms you LOVE and tell us why you find them exciting! 2.) Stunning surfaces are often the focal point of beautiful bathrooms. Share installations that prove this point from showers to countertops to flooring and walls. 3.) Share your design crush faucets, sinks, shower fittings and tubs! 4.) What bathroom lighting has wowed you lately? 5.) What bathroom organizers, storage solutions or tech has WOWed you lately? 6.) Built-in appliances in (or near) the master bathroom? Yes, please! What appliances take luxury to the next level in the master suite? This week we’re pinning to our KBtribechat group board – Bathroom Design Ideas. Let us know if you would like to be added to that Pinterest board. 1. Bathroom cabinetry is evolving! What bathroom furniture styles are becoming popular? We want to see pictures! 2. Decorative hardware is becoming an essential design component on cabinetry. What finishes and types are you specifying or want to use? 3. What countertop and sink styles are you specifying for today’s bathroom? 4. What faucet and shower valve handle styles and finishes are you excited about? Do you have a go to selection or does it vary by project? Are you specifying fancy drain covers and linear drains? So many choices! 5. Tile for bathroom flooring and showers has become very popular. Why do you see this trend continuing? Share beautiful images of bathroom tile inspiration! 6. Many lighting options are available for the bathroom! What are your favorites? 7. What features are you integrating into today’s bathroom designs? 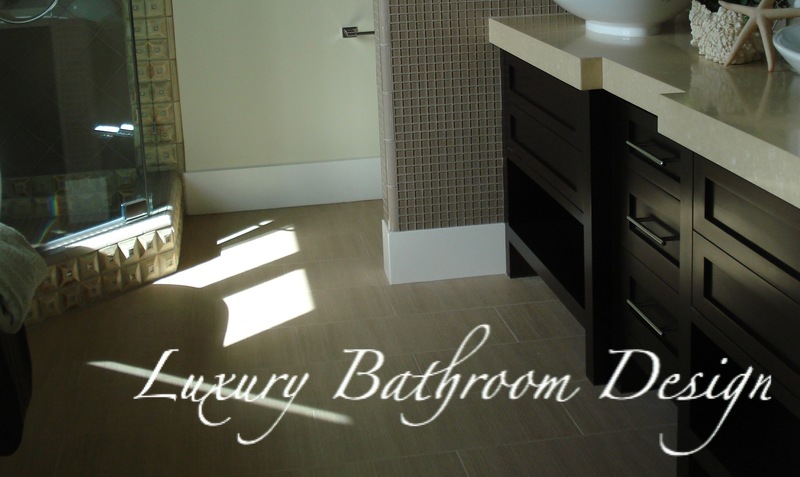 Transforming Master Bathrooms into Luxurious Retreats. Q1) What makes a shower luxurious? What’s new with shower doors? Drains? Fixtures? Finishes? Surfaces? Share pictures of bathrooms you love! Q2) What about lighting? From functional to decorative, how do you incorporate lighting into a bathroom retreat? Q3) What luxurious surfaces and accessories do you love for a well appointed vanity area? Q4: What are your favorite tech integrations for a luxurious bath? Q5: How does personalization translate to luxury? Q6: What features would be included in your ultimate Master Bathroom retreat? Share pictures! This week we’ll be pinning to our KBtribechat group board – Bathroom Design Ideas. Let us know if you’d like to be added! We want your opinion Kbtribe! Better Homes and Gardens Real Estate of 500 recently conducted a survey of luxury home buyers on what they considered “essential“. These certainly are great items but let’s bring this to the kitchen and bath pros of Kbtribechat. What are your top 6 bathroom essentials? This is obviously a list beyond the basics. Do you find most of your clients wanting multiple shower heads and make-up vanities in the master bath? Those are the top two “essentials” on the list! Get your list ready…we’re talking bathroom design at the next Kbtribechat!